During one of the most tumultuous and darkest times of American history, one man provided a voice for the victims across the nation. 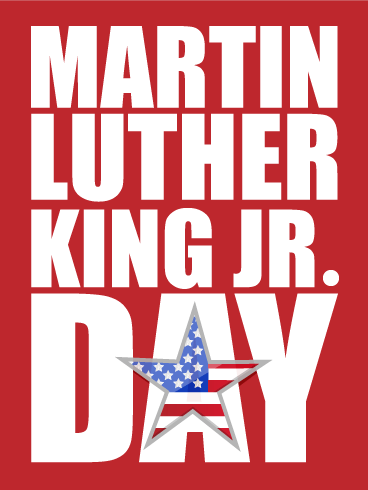 Every year on the third Monday of January, Americans celebrate the life, work, and sacrifice of this hero, Martin Luther King Jr. To honor this man and the work he did during the Civil Rights Movement, send this Martin Luther King Jr. Day card to everyone you know! Over 50 years ago, Martin Luther King Jr. dared to stand before his enemies and demand change for the betterment of his fellow men. Even as he fought against injustice, he offered hope through his belief and dream for a better world. With this Martin Luther King Jr. Day card, you can continue the fight for justice and remember the sacrifices of those that came before. Send it today! 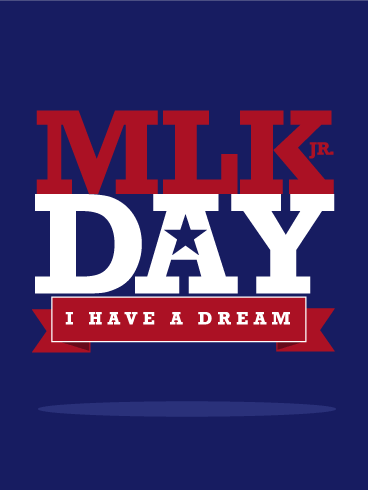 Martin Luther King Jr. had a dream of a world of equality, a world where people would be judged and welcomed only by their merits. To honor the fight he gave and the fight many continue to give, send this Martin Luther King Jr. Day card to your friends and family. The patriotic design will remind them of the ideals this country stands for and the fight that continues around them today. 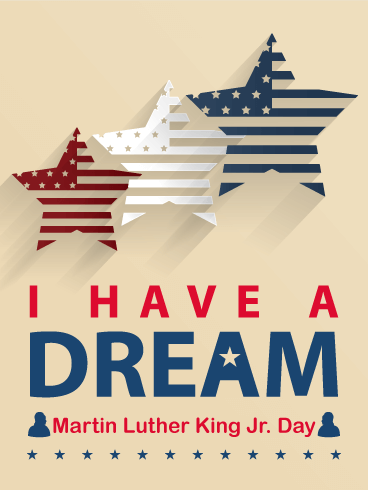 The words "I have a dream" are recognized and remembered by millions of Americans, even 50 years after they were said. Martin Luther King, Jr. was a man who stood for something that was incredibly important and urgent, which is why we still honor his legacy today. 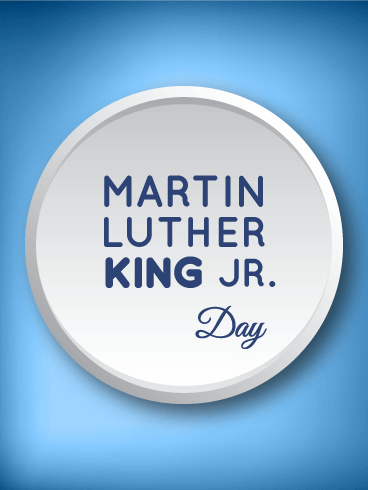 With this Martin Luther King Jr. Day card, you can celebrate and remember the fight made for equal rights. 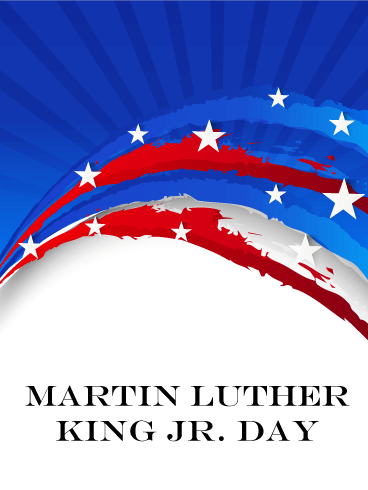 On the third Monday of January every year, Americans take the time to remember and observe a day that honors the legacy of Martin Luther King, Jr. His words, sacrifices, and relentless fight changed our country and society for the better, so use this Martin Luther King Jr. Day card to commemorate the work he did. His example and leadership led this country to improvement, so honor him with this card today! Martin Luther King, Jr. fought for the equality of all people, a fight that is still ongoing today. Through hardship and persecution, he never gave up. His work and legacy are an example to us all, so use this Martin Luther King Jr. Day card to remind everyone you know about this important work that still needs to be done. By sending this card, you can make this an important day for everyone you know. Many decades ago, one man sacrificed everything to make a difference in his country and community. Just like Martin Luther King, Jr., you can use your voice and experiences to make a change in your world. 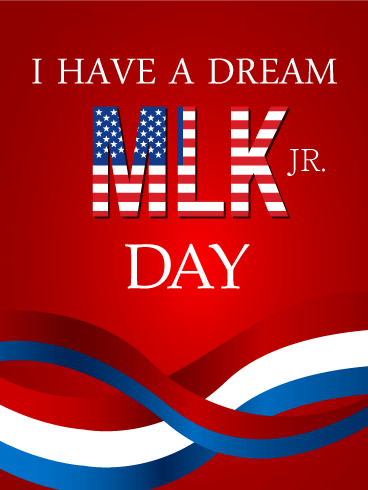 Celebrate the hard work and sacrifices made by the people who came before us by sending this MLK Day card to your loved ones this Martin Luther King Day! Do you know someone who has a dream? A dream to make a difference for people who are living under hardships and disadvantages? 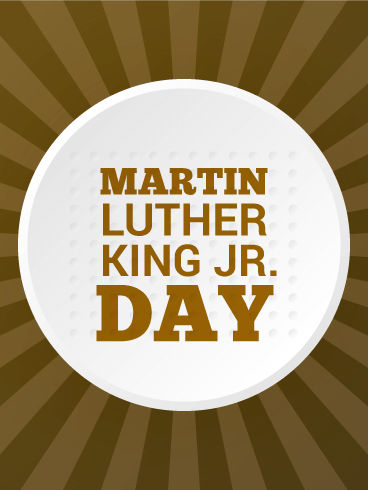 If so, you have found the perfect MLK Day card to send in celebration of Martin Luther King Day! The red, white, and blue colors show that anyone can achieve the American Dream, as long as there is someone to fight for them. Send it to celebrate today! Are you proud to live in a country that continues to offer hope to its citizens, despite the errors of the past? Do you want to honor the work and sacrifices made by those who have helped shape America? Then send a card to show how you feel! 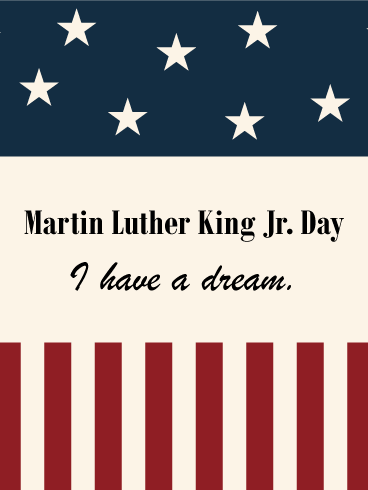 This Martin Luther King Day, celebrate our country's past, present, and future with this MLK Day card! 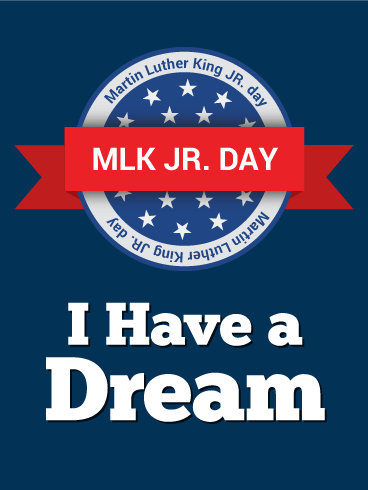 Martin Luther King, Jr. dreamed of a day when America would be a country of equals. No matter the color of our skin, the religion we profess, or the place we were born, we are free to be ourselves because of the people who came before us. 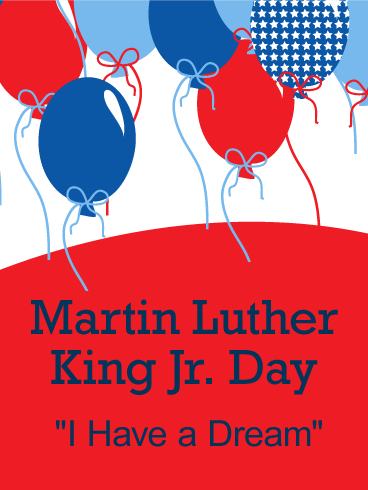 This year, celebrate your freedom and equality by sending this MLK Day card to your friends, family, and coworkers!